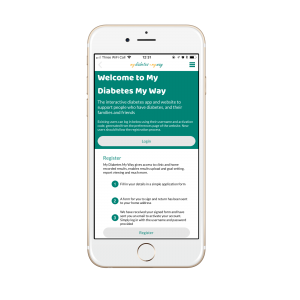 Our new My Diabetes My Way app has now been launched for patients both in Scotland and Somerset. The app offers users the opportunity to access their own personal records and advice on the go and makes it much easier for patients to submit their home readings when they’re not able to access their computer. It is available to download on iOS and android through the app store or Google play. It has been an exciting time for us as a company as for the first time we have had patients outside of Scotland using our My Diabetes My Way platform. It has been made available to thousands of patients with diabetes in Somerset CCG through NHS funding via the Small Business Research Initiative Healthcare scheme, which provides practical support and investment for new technologies that could help improve patient care and increase efficiency. My Diabetes My Way has been running in NHS Scotland since 2008 and evaluation of the platform in Scotland has shown better self-management skills in people with diabetes using the site and improved outcomes for patients.